I do love a good Tv series, I must say I have watched quite a lot of them too. When it comes to which Tv series that are appropriate for Halloween, the list isn't short. You have plenty of shows about Vampires, Zombies and Monsters and all the rest to keep you going. But I thought I would choose 5 of my favourite series that I thought would be perfect to watch this Halloween. So we have just reached the 100th episode. So if you haven't started watching this yet, it may not just entertain your Halloween but also your entire November too. Of corse the title gives away this series. It's all about surviving a Zombie apocalypse and wow does it show survival at it's best. It's grim, gory and so action packed that if you are not hooked after the first series then i'm not quite sure what is wrong with you. Ahh the devil of my dreams. For me this series doesn't only show devilish behaviour, action and some class detective work, but it also has some very nice eye candy. 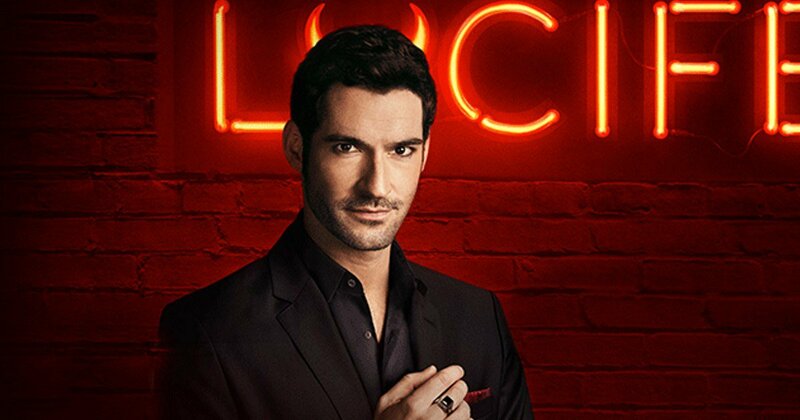 Tom Ellis who plays Lucifer certainly gets me hot under the collar and I could quite happily watch the 2 seasons of Lucifer that are available now, all day long. Season 3 has just started on Amazon Prime and i'm hooked. The storyline is about lucifer abandoning hell and residing in Los Angles. Here he meets a detective who he is quite fond of. He then decides to become her partner in helping her solve crimes with his devilish powers. So far theres only one season on Netflix so this one will be easy to binge watch. This is a zombie comedy series with Drew Barrymore taking the lead. They are a normal family until one day Sheila starts to go through some changes. Before they know it she realises she is a zombie and craves the flesh of humans. This isn't like your normal zombie series though and has comedy while her husband rises to the challenges of having a zombie wife. I really enjoyed this series and thought it was a refreshing change to most zombie shows. I would definetly give it a try this Halloween. When this first came out. I wasn't sure, but I thought I would give it a try. It started slow but I kept on with it and now i'm hooked. Grimm has just finished with its final season, season 6. (Which I have not been able to see yet). This is a detective show with a twist. The lead character is what's called a Grimm. A little like The Brothers Grimm, he hunts monsters. He soon finds out the town he lives in is full of them and his detective position at the police station helps him find and hunt the monsters. The show is full of lots of twists and turns and to be honest, it's unlike any show I have ever seen. Totally new and different. 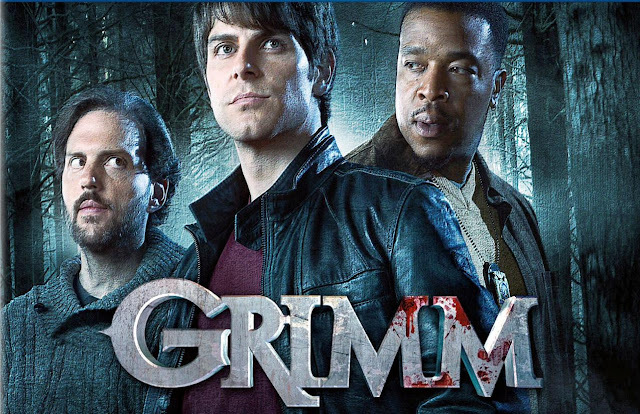 Although I love Grimm myself, I have heard of others not enjoying it so it really is one where you either love it or you don't. I would definetly give it a try and stick with it until the end of season 1 and hopefully you will be as hooked as I was. This is quite an old series but it is a good one and one I think I may end up watching again. What more could you ask for at Halloween than a show all about a Ghost, Werewolf and Vampire. The series shows the 3 trying to live out their lives as normal as can be without letting the monster get the better than them. Which is easier said than done. I really enjoyed this show for the lighthearted but slightly freaky appeal to it. It has blood and guts but also a little comedy to lighten it up. If you haven't seen this show then its definetly one to try. Especially if your a fan of Vampires, Werewolf's and Ghosts. Which of these series have you seen? Which one do you think you will try this halloween? None!!!! Is that sad or what!!! Oh, dear, I haven't seen any of these. I do like the idea of binge watching, though, as long as the chores are all done first and I can sit back and relax. We will probably watch a fun family halloween movie this weekend. I loved Grimm! Waiting for the last series in Netflix! 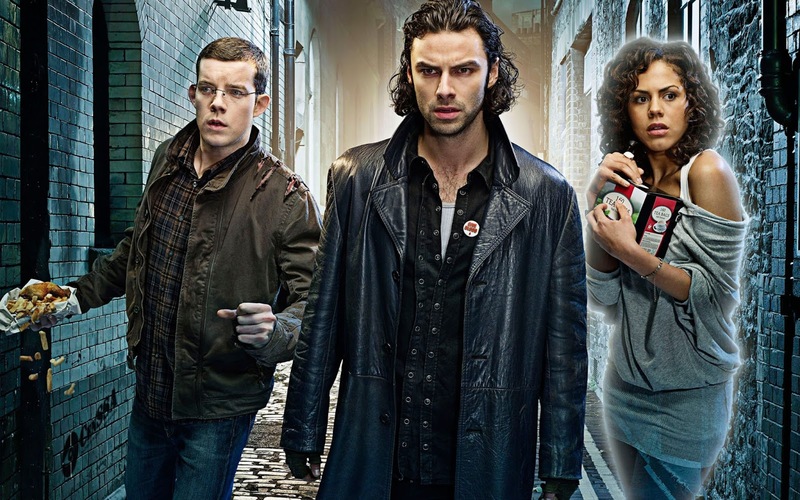 Being Human is a classic; moving and really funny. One of my friends is very into Lucifer, but I haven't got round to trying it yet. I should. Great article and ideas, thank you! I haven't seen any of them. Would possibly watch a bit of The Walking Dead, just because I have read a bit about it. Though I am not keen on zombies, so maybe wouldn't manage to watch an episode for long. Haven't seen any of these yet but have been wanting to try the Walking Dead for a while now. Oooooooh I Love all of those! Great list! I haven't seen any of these but I have heard Grimm and walking dead are good so would prob chose them. I've heard santa clara diet is awesome :D Do need to binge watch this weekend! netflix is great for binge watch the good life, brilliant ! Lucifer sounds like a programme my Mum might enjoy watching. 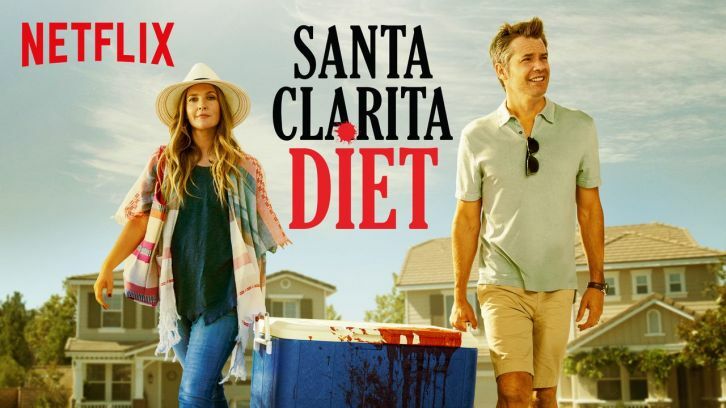 Santa Clarita Diet. Again a series which I haven't seen, also not keen on zombies. But with Drew Barrymore, and some comedy:- If opportunity arose would possibly watch an episode, to see what it's like. Grimm seems like a series my Mum might enjoy. She likes horrors, and detective series. Don't think she has seen any of Grimm as yet. Being Human, I think would appeal to my Mum. Halloween seems to have been Celebtated by many this year, parties have been popular and fun.